International isn’t a new topic for our Iowa based business. Just over a year ago we unveiled our product to the Canadian market at the Canadian Urban Forest Conference in Laval. At this conference we were joined by hundreds of arborists, foresters, businesses, and non-profits looking to expand our urban forests! 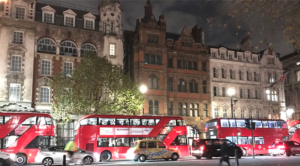 Had we not attended this conference, there is a large chance we would not be distributing product in the United Kingdom with our new business partner Russell Horsey! Before attending the international CUFC conference I was beefing up our twitter profile, attempting to connect with all those who would be attending the conference. I was continuously getting notifications from this urban forester from Wales; I was certainly thankful for the encouragement, “likes,” and retweets coming from this stranger. Well, that stranger followed through on one of his early promises and stopped by our booth to check out our product for himself. Fast forward a couple hours and our conversation at the booth lead to dinner at a restaurant which ended with Russell announcing he, “better get some sleep before my talk in the morning.” It was only at this point I realized, Russell was a speaker at the conference. Obviously my salesmanship was lacking that day not learning enough about our guest… I’ll blame it on the jet lag! We ended up seeing Russell’s talk on community engagement and the need to work together to accomplish our goals in community / urban forestry. We spoke a couple other times but ultimately left the weekend without talking further about business, expansion, or partnerships. Fast forward a year and here I am in Birmingham U.K. My international flight landed in a busy, unfamiliar, and rainy city. I’m waiting for the once “stranger from Wales” to pick me up and take me on a week long adventure across the U.K. to demo product, shake hands, and learn the new market for our TreePans. 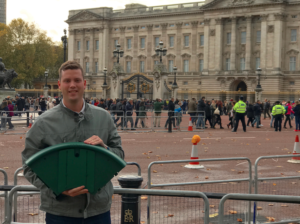 For the past year Russell has been communicating with our team, consultants, and manufactures to find a way to get our product across the pond to start selling and promoting #TreePansUK. I am happy to announce that before the new year we will accomplish that goal, with a container of product making its way to Russell, across the pond and far from the Midwest United States! We even got an interview with HortWeek Magazine! 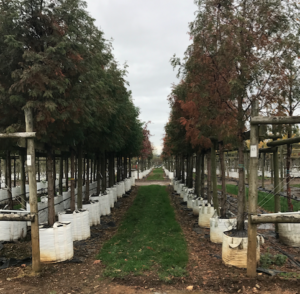 We met early Thursday morning at one of the largest tree farms in the U.K.; Barcham’s. Over 180,000 trees on the property! 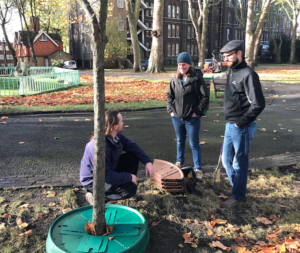 It was great to see the operation and the process for growing, pruning, and ultimately selling these containerized / B&B trees to cities, contractors, and others. While we were at Barcham’s we met with Paul Davis of Arborcheck. 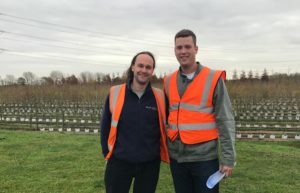 Paul gave us insight into their product and how we might be able to work together to gain more knowledge about the establishment and overall tree health. 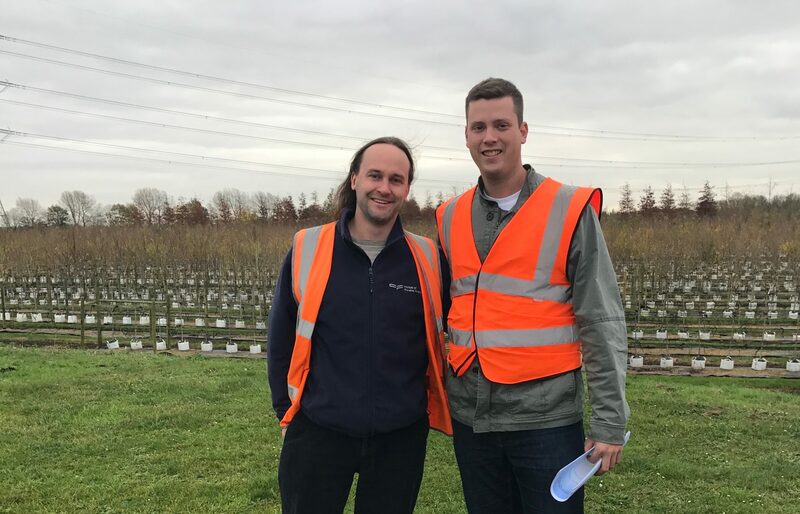 Paul was a great guy, with a passion for his product and industry, we are optimistic that we will be able to work together to show the positive benefits that TreePans can have on the establishment of trees compared to current maintenance standards. 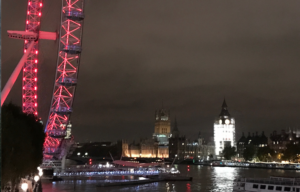 We got into London on Thursday night and decided to stretch our legs with our own walking tour around the city. 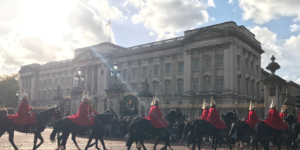 On Friday and Russell showed me around the city (in-between meetings with tree officers) to catch glimpses of some iconic London architecture, we even managed to catch the changing of the guards! 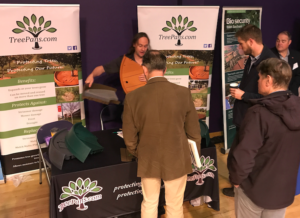 Hands on is always the best approach when talking & selling TreePans. We hear all the time that the product is much different in person than what is expected when researching online. It is always beneficial to be able to answer questions about our product in person and hear some of the responses from customers. “Firmer, bigger, tougher, nicer” are a few keywords from those who take us up on a live demo or visit our booths at trade shows. We spent Saturday in West Wales reflecting on the busy week we had, traveling over 1,000+ miles in a compact car together, through 5 cities, 6 McDonalds (way different from the U.S.,) and many conversations about trees! We strategized, we laughed, we compared notes, and we toasted! To an amazing opportunity, serendipity a year prior at the CUFC and our future working together. We are thankful for the opportunity, optimistic about the future, and eager to grow! Thank you Russell, welcome to the team and CHEERS to the future!